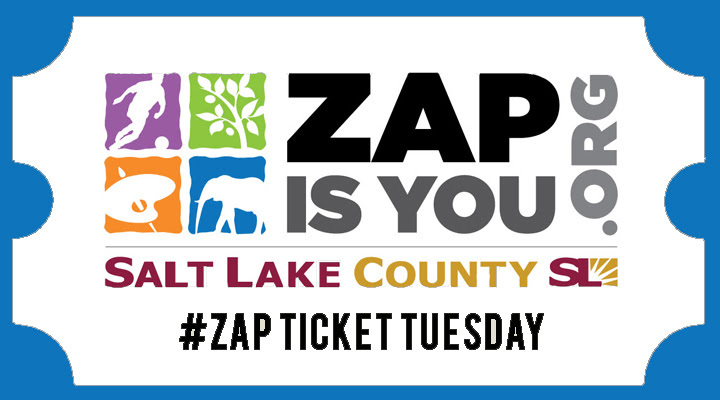 Check out the stories and successes of ZAP-funded organizations. You may be receiving notices from the County asking you to sign up for a card payment system. We do not recommend you sign up for this card and, instead, sign up for EFT whenever possible. We expect to notify Tier II applicants on the recommended funding amounts for 2017 by the second week of August. Please keep an eye on your email and be sure you've set up your email client to allow emails from [email protected] If you do not do this, you will not receive notification. Whitelisting (or adding as a safe sender) [email protected] to your email client will allow you to receive timely notifcation from ZAP. A high-level leadership seminar for racially or ethnically diverse leaders working in the arts in the western United States. If this is of interest to you, we encourage you to apply. If you know somebody who would be great for the program, we encourage you to forward the information to that person. What do you want from SLEAP? SLEAP just celebrated their 2nd anniversary! They are working to evaluate their work and what they can do better in order to serve you. They have offered a variety of events and workshops in the past two years, and they want to understand what is most interesting and useful to you. This brief survey should take no more than 5 minutes to complete. Please forward this to staff/volunteers who are emerging. Booking conferences are gathering places for performing arts professionals. These conferences provide opportunities for performing artists to market their art to presenters who are looking to bring performance to their communities. Booking conferences are also exceptional opportunities for artists to obtain professional development and network with other professionals in the field. Learn more about regional booking conferences and how to apply for funds. UNA is pleased to announce that this year’s keynote speaker is Vu Le. Le is nationally known as a writer and speaker. His role as the Executive Director of Rainier Valley Corps, a Seattle based nonprofit, gives him a real-world perspective on the opportunities and challenges facing nonprofits. Learn more and register for the September 17 conference. There is more fun going on this week across Salt Lake County. 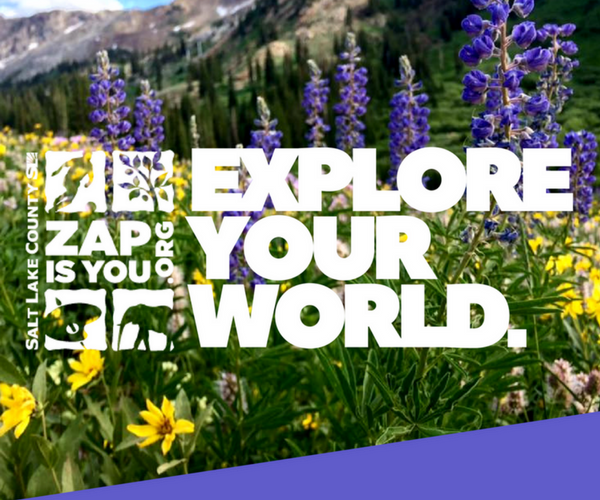 We hope you'll get out and explore with us. Earn your stamps at any of the following free destinations, July 27 through August 3. 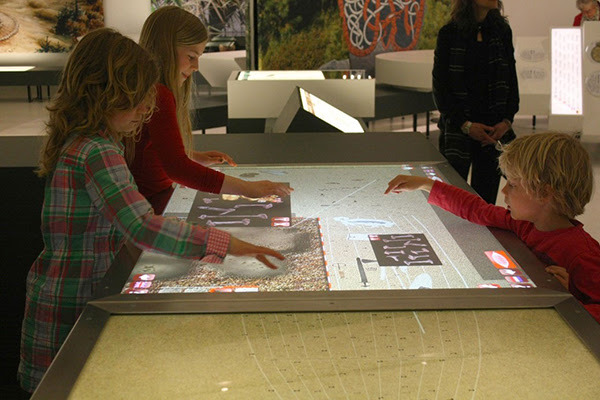 Planning an adventure to the Natural History Museum of Utah this summer? Get ready for a surprising and fascinating adventure! Now through January 1, 2018, unravel fact from fiction at our newest special exhibition, Vikings: Beyond the Legend. Travel back in time to 750 – 1100 CE to investigate what scientists have uncovered about the Norse culture and the period now known as the Viking age. Discover the true meaning of the term “Viking.” Gather your own archaeological team to help you digitally excavate a traditional Norse ship. Hear stories about life as a Viking trader from Thorgrim the Dane, or master the secrets of rune reading from Volva Rundis Elidottir. Examine rare artifacts never before seen outside of Scandinavia. 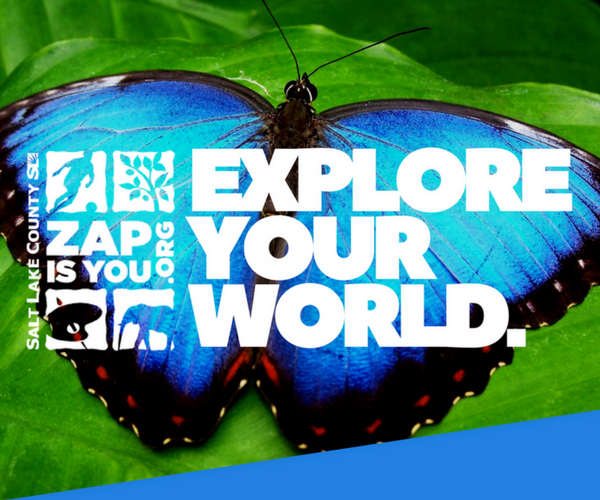 Wondering where you can get your ZAP Passport stamped this week? Look no further! Earn your stamps at any of these destinations July 20 through July 27. Just getting started and having trouble finding remaining Passports at your nearest Salt Lake County Library location? You can download your own here. Destinations are free unless otherwise noted. Let's keep the summer fun going! 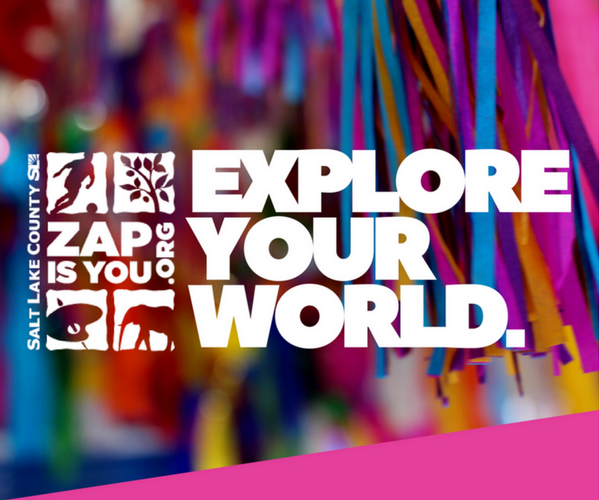 Earn stamps in your ZAP Kids Summer Passport at any of these destinations July 12-19. Don't forget, you need at least 5 stamps from different destinations to attend the Final Destination Celebration at the Clark Planetarium on August 30! 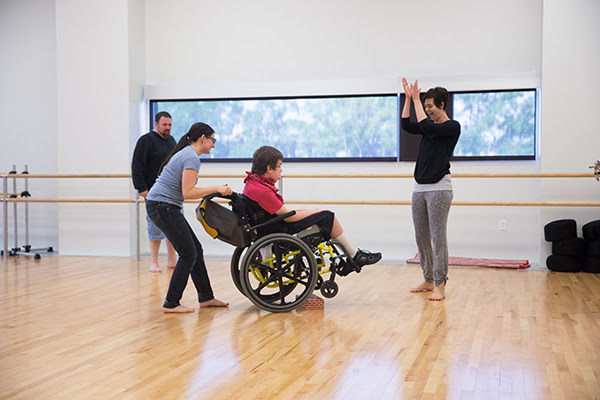 After conversations with families like Nathan’s about the need for more opportunities for learning and growth for adults with disabilities in this community, Tanner Dance launched two new arts programs for Nathan and his peers in 2016. I grew up in a rural town of Salt Lake County known as Riverton, Utah. It’s not a small town anymore, the urban sprawl has eaten up most of the open fields, but when I lived there cows were my backyard neighbors. Most of my culture came from the movies, television, and the occasional community play. I didn’t know any gay people growing up; at least none that were openly gay to me. My exposure to the gay community came in the form of 90’s television stereotypes, the quirky best friend that never gets the girl but never seems to mind, or the tough gal who fixes things and wears a leather jacket. I vividly remember after high school two young men from a restaurant I worked at took me to my first Salt Lake City PRIDE event. This is probably as a good time as ever, to come out and admit I’m straight. From that day forward I have been so impressed with the warmth of this community, they accepted me for me, didn’t try to change or recruit me, and have never looked down on me for my narrow-minded sexual identity. The more I hung out with these friends, saw their struggles and celebrated their triumphs, the more our differences faded away and they ceased being my gay friends, and me the straight girl, and we were just friends. We've had a great summer so far, and we're excited to continue exploring with you! With the 4th of July holiday coming up we have included opportunities for the next two weeks where you can earn stamps in your ZAP Kids Summer Passport (June 28 - July 11). Enjoy your experience or learn something new? 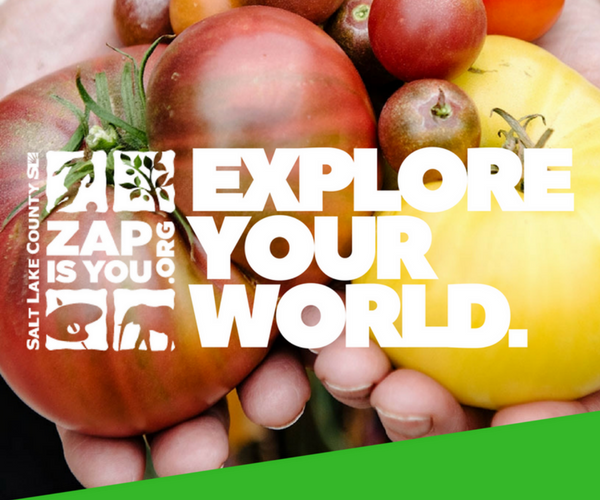 Share it with us on Instagram using #exploreZAP! The Conservation Garden Park is your resource to help you “localize” your landscape to work in harmony with Utah’s challenging climate. 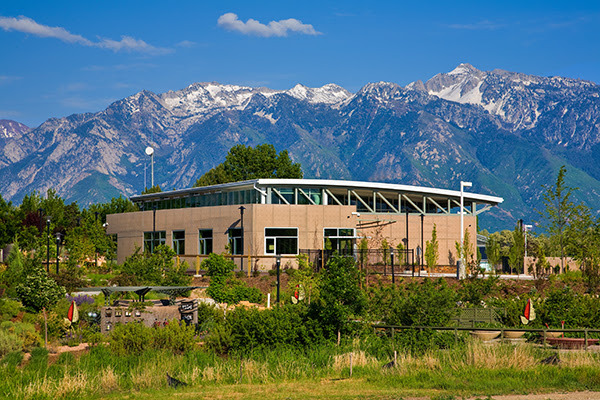 The 6-acre botanical garden is located at the center of the Salt Lake Valley at 8275 South 1300 West in West Jordan and is a convenient stop for any county resident wishing to enjoy the beauty of Utah in an artful environment. While the Garden may be a “living museum” of Utah-happy plants, it’s different than other public gardens in that the plants and techniques shown here are intended to reach into your own landscape. During your visit, you’ll learn about design, irrigation, planting and maintenance for your own yard. If you want more assistance, you can access a wide range of classes, tours, and activities, as well as ask questions of our horticulture and landscape experts. Empress Theatre | Honk Jr.
Several organizations have donated tickets through the end of the year. Thank you! We look forward to highlighting your organizations in the coming months!